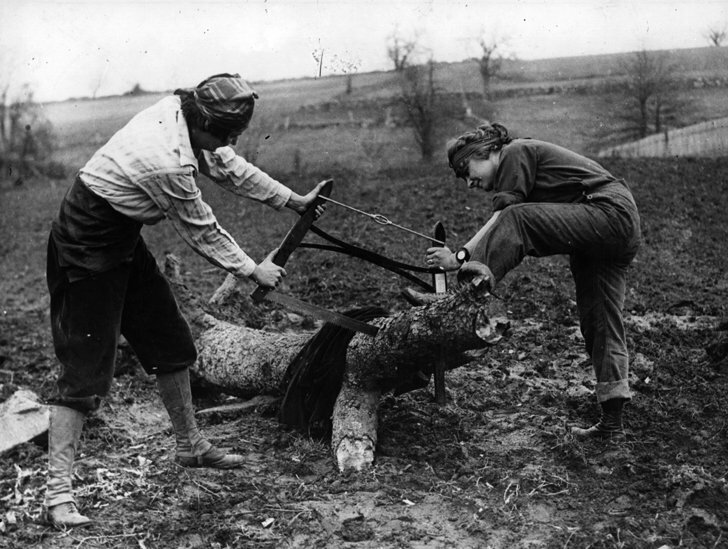 Today my research focus has shifted to the Women's Land Army (WLA). Woodbine and Ivy has three characters' points of view. One is in France, another in the WLA and a third has yet to be decided. I've seen lots of posters for the WLA with young women looking radiantly healthy and full of vim and vigour, pitchfork in hand, the sun shining on their smiling faces. I've discovered, as did many of them, that the reality was a little more gritty. Unfortunate for many of those ladies, but great inspiration for a story! I had assumed, incorrectly, that food on a farm would still be abundant during the second World War but the Ministry of Food and Agriculture placed strict restrictions even on farmers. Livestock was drastically reduced, which surprised me, in favour of arable production. A great many wildflower meadows were ploughed up to grow crops like barley and wheat. Hundreds of years of evolution gone. The land girls worked long hours - 48 per week in the winter and 50 in the summer. They seemed to be a cheerful lot, despite the sceptism they were greeted with on arrival and the physical toll of the work. I read of one woman who had to weed an entire field of thistles - without gloves! Being a gardener myself, I can only imagine the blisters by the end of the day. Beetroot sandwiches seem to be a staple diet with cheese only eaten once a week. Bread wasn't rationed during the war and neither were potatoes so these women ate lots of carbohydrates and little protein - the opposite of health advice today - but they must have burned all of it off doing jobs like mucking out pigsties, heaving wheat sheaves and carrying water. It's both inspiring and humbling to see what they went through, far from home, in pretty poor conditions. Often they slept in barns or outhouses on rough beds made from wood nailed together in a hurry and some dubious mattresses. One woman said she had to shower after a bath as the bath water, never very warm or deep, would be full of hay lice after a day on the threshing machine during harvest. Ugh! The uniforms seem to have met with general approval; however I was shocked to learn they had to be handed back - even darned socks - at the end of the war. The only item they were allowed to keep was the much-loved overcoat. They were issued with 10 clothing coupons as compensation. Above is a picture of one Land Army girl in full regalia in one of those seductive posters with a picture of some women doing real work below! Wow. It is great to learn these cases. It is good to bookmark all and to share.